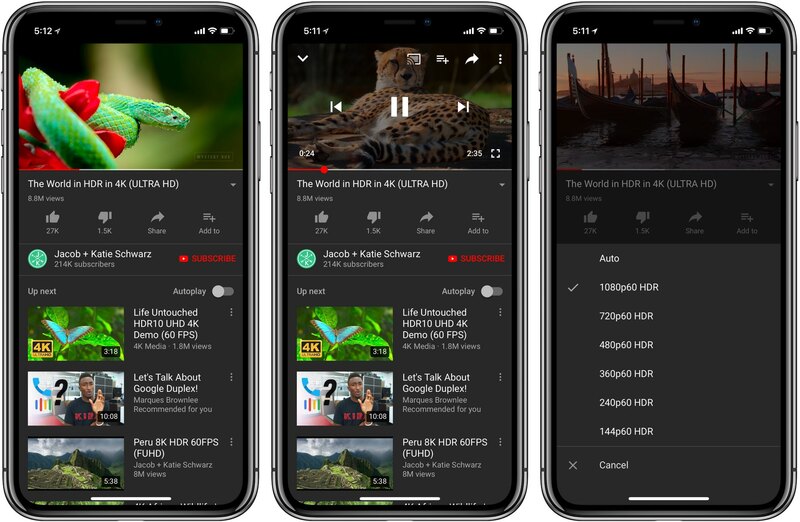 iPhone X is the first iPhone using a high dynamic range (HDR) screen with up to a billion colors, and now YouTube’s begun rolling out support for HDR video on the OLED device. This seems to be a stealth addition so no update may be required. HDR content has visible improvements such as greater dynamic range, brighter highlights and a broader range of luminance that makes the picture richer in color, brighter and closer to the director’s original artistic vision. 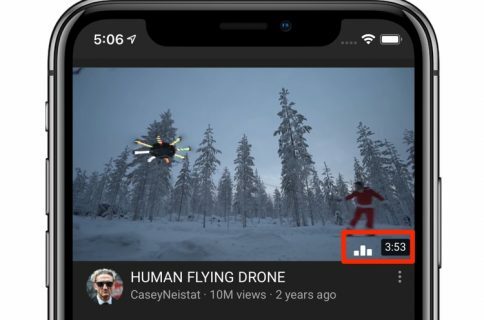 To test HDR playback, fire up the YouTube app on your iPhone X or iPad Pro, type “HDR videos” into the search bar and select a video from the list. Now press the three dots in the video’s top-right corner, choose Quality and make sure HDR is on (1080p HDR, 1080p60 HDR and so forth). 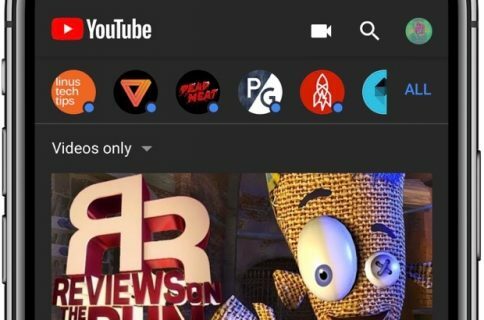 YouTube has had HDR video content for quite some time now, however, but watching HDR video natively requires a HDR-compatible screen. 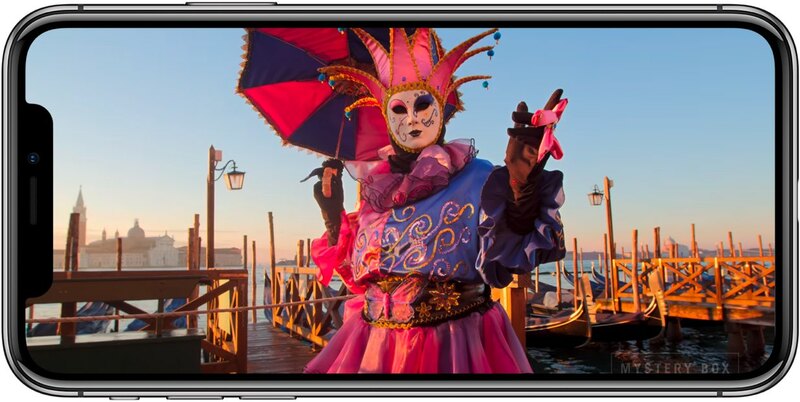 iPhone X and all iPad Pro models support HDR video. Although Apple advertises on its website that iPhone 8 and iPhone 8 Plus support HDR10 and Dolby Vision content, that’s not entirely true. In fact, neither phone has an HDR-compliant display. Apple told Mashable that iPhone 8 and iPhone 8 Plus use dithering techniques. 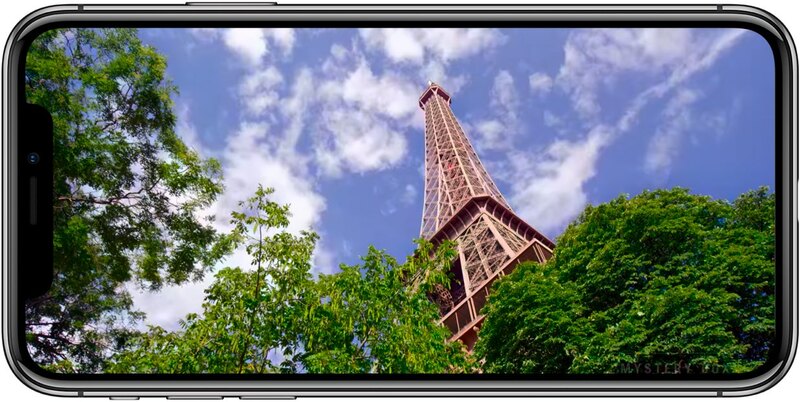 As a result, iPhone 8 owners will see visual enhancements to dynamic range, contrast and wide color gamut when playing Dolby Vision or HDR10 content, but it will not be at the full level of HDR visual fidelity as on iPhone X’s HDR screen.